Born in Norfolk, Virginia, Barton Myers received his Master of Architecture degree from the University of Pennsylvania and subsequently worked with Louis I. Kahn. He established his practice in Toronto in 1968. In 1984, he opened an office in Los Angeles that is now the firm’s base. In 1986, Barton was the recipient of the first Toronto Arts Award for Architecture in recognition of his contribution to that city, and in 1994, he received a Gold Medal from the Royal Architectural Institute of Canada (RAIC). In 2002, Barton received the Gold Medal from the Los Angeles Chapter of the American Institute of Architects (AIA/LA). 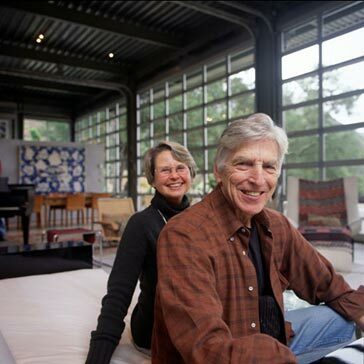 Barton Myers has taught architecture and planning at both the University of Toronto and the University of Waterloo, and has been a Visiting Professor at the Harvard Graduate School of Design and the University of Pennsylvania and also served as Thomas Jefferson Professor at the University of Virginia. Barton has held a continuing appointment as Professor of Architecture at the UCLA School of Art and Architecture since 1980 and lectures extensively throughout North America and abroad.